Excellent service professional and polite. Really appreciated the fast conformation and arrival instructions via email as we were traveling back last minute from Dubai and the snow in Scotland was a total nightmare. Really safe driving in blizzard conditions back to Elie. Thanks Ralph. Massive thanks to Ralph for going the extra mile with helping our disabled sons at check in. We got to Glasgow Airport in plenty time. Ralph insisted on parking up at no extra cost.Helped us all with our baggage and folding wheelchairs. Definitely made our day more enjoyable and would highly recommended to all. Best taxi we have travelled in for sure and the conversations we had were fabulous. Very professional and helpful.Ralph picked us up right outside arrivals and delivered us safely to our cottage.We have planned our return trip with him and we highly recommend him. Ralph was our driver on both occasions and he was a total gentleman. It was such a pleasurable ride from start to finish. The vehicle was immaculately spotless and very modern. Thanks again for all your help and patience,especially on our outbound ride. Very professional,helpful and friendly service. 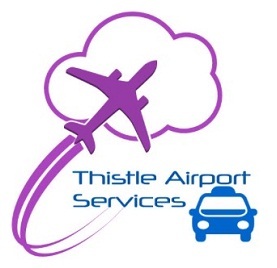 Booked again on 27th November and as usual Ralph was 100% on time both to and from Edinburgh airport.We have used his taxi service quite a few times now and not once has he let us down so we will definitely be using him next time around in May 2017 Thanks again. Friday 6th May just back from Spain and Ralph was at his best as usual. After using his Taxi a several times now to the airport his services are always second to none. On time with a smile at arrivals and genuinely hoping you had a great time. We will use his taxi every time we go on holidays. We would recommend him to all 100% and we will be using him next time. Thanks Ralph and see you next time.